When doing a basement remodeling project adding a vent free gas fireplace is a great way to add warmth and a cozy feel to a space. The new vent free units dont have any bad odor and are 99% efficient so all of the natural gas you burn is converted directly into heat for the basement and house. Old direct vent units were much less efficient keeping only 60-70% of the heat for your house. 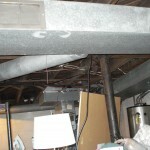 The vent free units require no chimney or ductwork. Only a gas line and a 110v electrical circuit so you can install them pretty much anywhere in your basement. If you need a basement remodeling contractor in Columbus Ohio area Please Contact us Advanced Renovations Inc. We look forward to hearing from you. The bathroom in your basement is one of the smallest but it typically sees the most traffic, especially when you’re entertaining guests. It is the perfect opportunity to take a risk and design a space your guests won’t soon forget. Before you start construction on the basement figure out the floor plan of your space. Then figure out your personal style. Do you want contemporary or traditional decor ? How will it fit in with the rest of the basement. To get great new ideas and keep current on trends, look at remodeling magazines, search for basement remodeling images on Picasa or Google images, visit a local plumbing – bath showroom, or check out home improvement websites. You can find articles on recent trends and new bath products that can help you determine what products best fit your needs. When working with a relatively small space every styling detail counts. Some manufacturers product sets are making it easier for homeowners to coordinate their pieces. This way each element in the room is designed to perfectly match each other. Most homeowners we deal with are trying to maximize space in their basement bathroom. Usually a pedestal sink is the best way to do that. A pedestal sink provides a clean, open look to the area. The only drawback is a loss of storage space. You can offset that by installing custom built ins or a small closet. If a pedestal sink isn’t your style you can use a sink base cabinet with a granite top and under mount sink. You can also use a vessel sinks. This is where the bowl sits on the top of a vanity cabinet. Vessel sinks are becoming one of the latest trends in bathrooms and add a unique design to the space. There are many different styles of bathroom faucets. Popular versions include wide-spread faucets ,vessel fillers and wall-mount faucets. The faucet and finish you choose will help pull the decor together . Many of them have matching accessories for towel bars and toilet paper holders. The toilet is one of the most important elements. You want to choose a model that is not only stylish but also highly reliable. Again many toilets are now designed as part of a collection to match your sink and the other pieces in your bathroom. Most popular choice is the elongated bowl model with a good water efficiency. The shower can be the centerpiece of your bathroom. The latest trend is accented tile walls with borders or inlays and poured pans with tile floors. Add a seat or built in wall niche for a little pizzazz. The shower valve should match your faucet or you could even upgrade to a unit that has body spray jets. The shower doors are also an important aspect to the bathroom. Our favorite and again most popular is a frameless shower door system. It has a track on the top, bottom and two sides but the glass has no frame around it. This makes it not only were appealing visually but also easy to clean. You can get the doors and the glass in several different finishes so make sure that the finish you choose compliments the rest of the bathroom. You’ll still have to pick out a mirror, light fixtures, cabinets and hardware along with toilet paper holders, towel bars, etc. That’s usually easily done after you get the rest of the bathroom fixtures picked out. Check out the recommended bathroom remodeling books below. I am the owner of Advanced Renovations, Inc. Our basement remodeling service is currently serving the Columbus Ohio area. Mainly Dublin, powell, Lewis Center, New Albany, Westerville, Worthington but are expanding those areas rapidly. 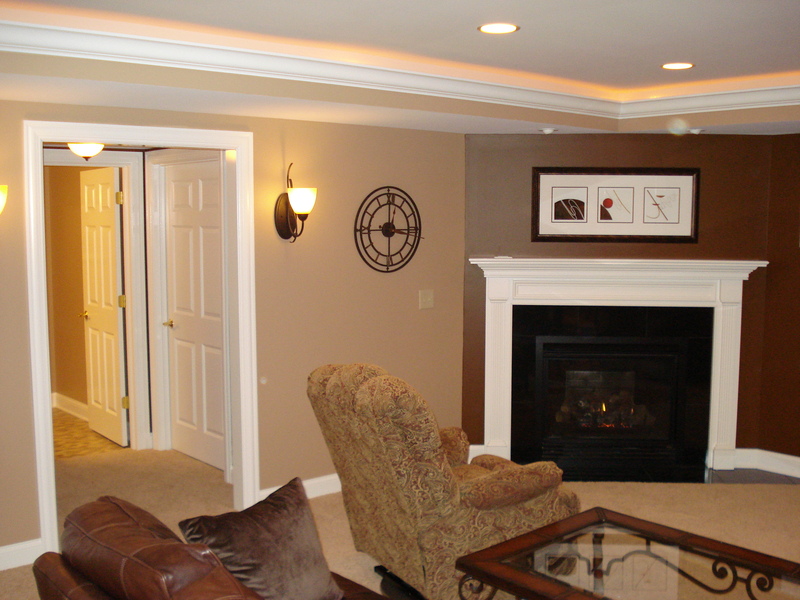 This blog on basement remodeling is to help home owners with tips on finishing thier basements, give updates on current methods and materials, and to show off some of the current projects we are working on. If you are thinking of basement remodeling maybe you will be able to learn tips, tricks, or ways to save money when completing your project. 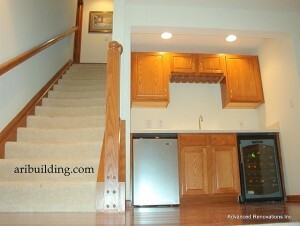 If your in our area and want basement remodeling done check out our website www.aribuilding.com/basement and see photos from basement jobs we’ve done. Give us a call. 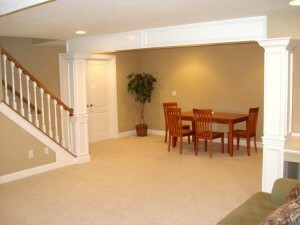 we would love to help you with your new basement. Basements can sometime be plain and boring. 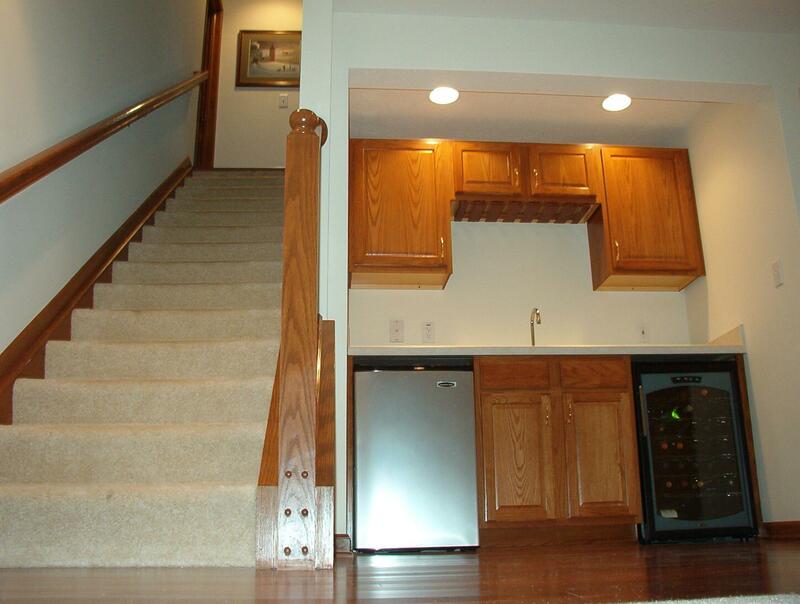 You want an idea for an inexpensive way to upgrade your basement living space? Add Old World charm and the warmth of wood to any room with wainscoting. It also gives the walls a nice texture and breaks up large open walls. It’s a project you can do by yourself in a couple days you just need are a few basic tools. Most home improvement stores even sell kits with the base, chair rail and the paneling that makes it an easy process. You can always hire a contractor to do it if your willing to spend a bit more. If you are getting ready to finish your basement ? check out google images for ideas but try this basement remodeling book for all your answers. I recommend it to customers who are still looking for ideas and its a must have for anyone who is planning on finishing a basement on their own. Otherwise you need to hire a basement contractor or design expert to guide you through the process. Whether its google images or the book you will be able to see what some of the latest trends in basement remodeling are along with samples of home theaters, bathrooms, wet bars, playrooms, fitness areas, built ins, basement flooring, basement remodeling plans and much more. You can find other basement remodeling books On Amazon. Both are helpful tools for creating the layout of your space because you can see ideas that have worked for others. Helping you choose style, colors, textures and much more. 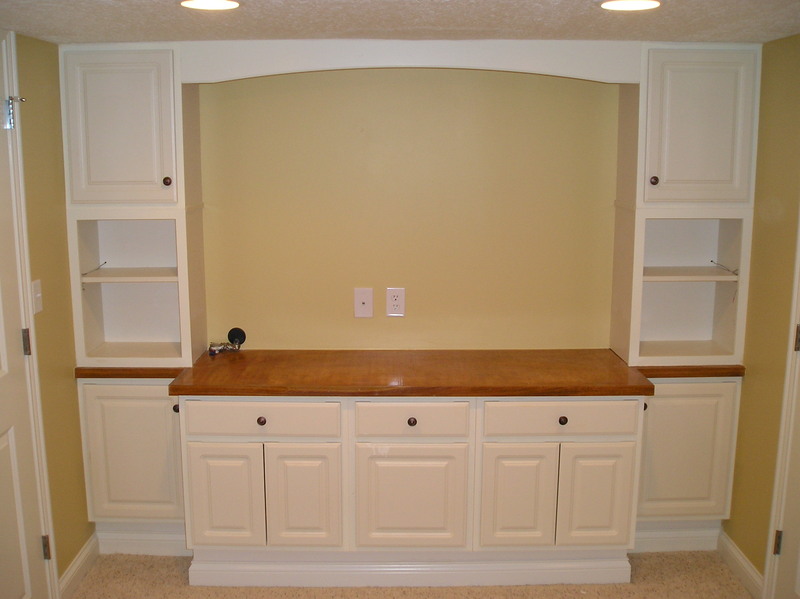 If you need a basement remodeling contractor in Columbus Ohio and surrounding areas contact us. More and more people are turning towards finished basements especially now with the slow housing market. It’s a very cost effective way to take advantage of the extra space in your home. 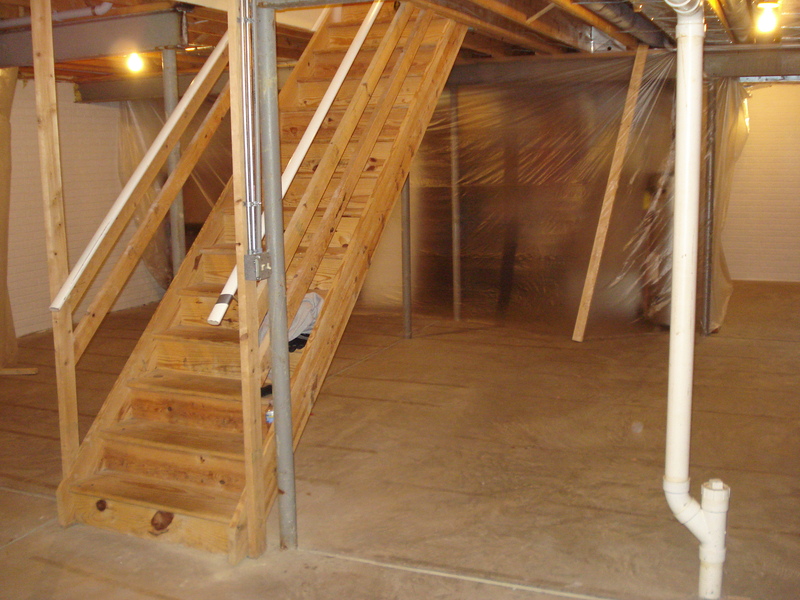 However there are some precautions you need to take when finishing a basement. Number one is Check for RADON. You cannot see, smell or taste it, but it could be lurking in your home.Most people don’t think at all about the danger of radon in their home. Radon is a radioactive cancer-causing gas. The U.S. Environmental Protection Agency (US EPA) and the Surgeon General’s office have estimated that as many as 20,000 lung cancer deaths are caused each year by radon. Radon is the second leading cause of lung cancer. The Surgeon General has warned that radon is the second leading cause of lung cancer in the United States today. If your home has high radon levels, you’re at risk for developing lung cancer. There are scientific studies of radon exposure that indicate that children may be more sensitive to radon. Do you really want to expose your family or your children to this toxic hazard? You shouldn’t, it’s not worth the risk. Radon is a national and global problem. The EPA estimates it in millions of home nationwide. Elevated radon level have been discovered in every state in the US. Check your state and see the results. 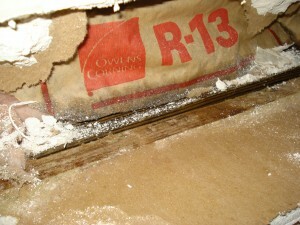 Have you given much thought to basement waterproofing in your home? Because water is capable of wreaking so much havoc on your property, you want to make sure you do everything within your power to protect against water damage and keep it from being the kind of headache that thousands of homeowners experience. But just what can you do in order to protect your home? Let’s take a look at some of the methods you can practice and you’ll see just how beneficial basement waterproofing is to your home in the long run. A close inspection of your home’s foundation will often expose the faults that can eventually lead to water damage, so you will want to begin your search there. Surface cracks – This telling sign signifies not only a possible problem with water, but a potentially weak structural integrity as well. Given enough time, cracks grow longer and deeper, making them that much more of an issue. When you notice one, it pays to act on having it fixed as soon as possible. Leaks – Leaking is another sign that something is wrong. You could notice dripping water, stains, or wet spots, but each of these signifies a leak somewhere. The problem often becomes apparent during rain storms, but if you notice a leak at times when it isn’t raining, then the problem could be something like a broken pipe. Musty Odor – Water damage related problems can also lead to mold growth, which makes itself known thanks to its distinct, pungent odor. While mold can often be easily found, it’s no so easily cleaned up by the average homeowner. Because it presents a health risk and can spread so easily, you may want to turn to professional help to get rid of mold. Have cracks sealed – As stated, cracks are a serious problem, but they can be sealed so that that won’t have the chance to expand and make a bad problem worse. No matter how minor a crack might seem, have it sealed as early as possible. Have mold taken care of – Mold can threaten your respiratory health and deteriorate surfaces on which it grows, so you want to make sure it gets remediated before it has a chance to spread throughout your home and create a much longer list of issues. Protect yourself against excess water build up – Some water damage comes from excessive flooding, but that can remedied with a functioning sump pump in your basement. Put one in place in your basement and you’ll be well protected against pooled water should the situation arise. Protecting your home through the above basement waterproofing methods can go a long way toward giving you peace of mind and ensuring that you aren’t caught off guard by anything that might come your way in the future. Of course, these are just methods that protect your home from the inside. If you want to protect your exteriors, then that can be done through roofing and siding services as well as window replacement services that can make sure the outside of your home is sealed and the elements aren’t able to get in. Finding a trustworthy, reliable, quality contractor to finish you basement can be difficult. After all finishing a basement is a big job and you want a contractor that has a lot of experience dealing with basement remodeling. 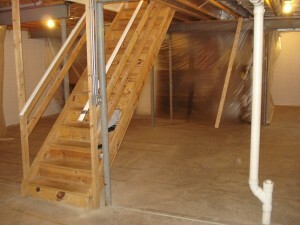 There are a few things to consider when hiring your basement contractor. Do you have liability insurance and workers compensation coverage on your employees? Will you provide the proper building permits? Will you assist with basement designs and create custom drawings for the job? Does your pricing include all labor and materials for the project? Will I be provided a project manager or who will be the available for communication of any issues? Did they keep within the budgeted estimate? Was it a high quality finished product? Did you get everything you expected? Did they finish the project on time? Can I come to see the finished basement job? Some people will not want a stranger coming into their home to see their basement. My experience is if the homeowners are happy with the quality and they like the contractor they used they will be more than happy to have you over to see the finished project. These tips should help you narrow you search down to a few good contractors. Good luck. 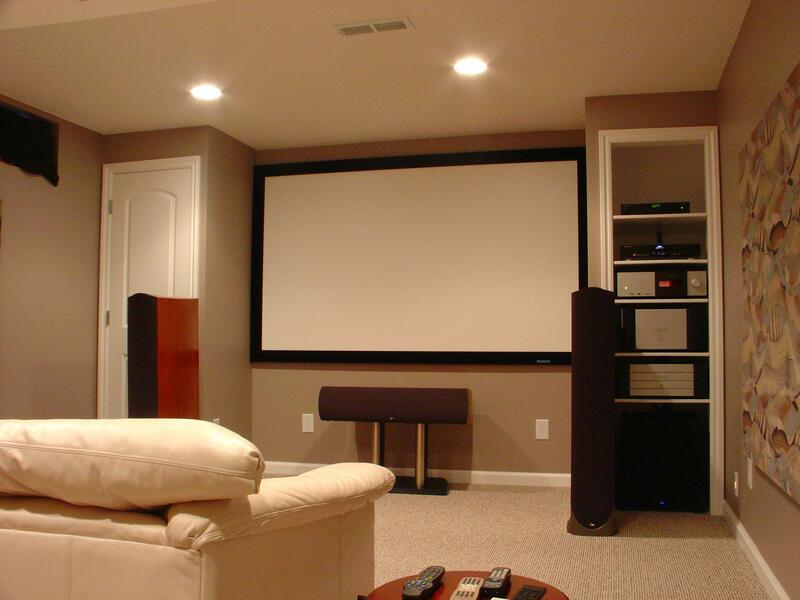 The top three items people want when remodeling their basement. Home theaters, bathrooms and bars. 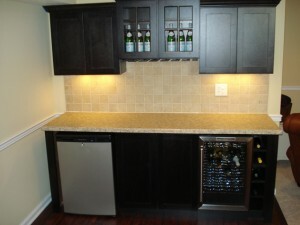 A basement bar adds a nice touch to a finished basement. It can make a simple snack area for your home theater or an exciting place to entertain friends and hang out to watch a football game on the big screen. Whatever it is you need, it can be done. The biggest factor when creating a basement bar is budget. 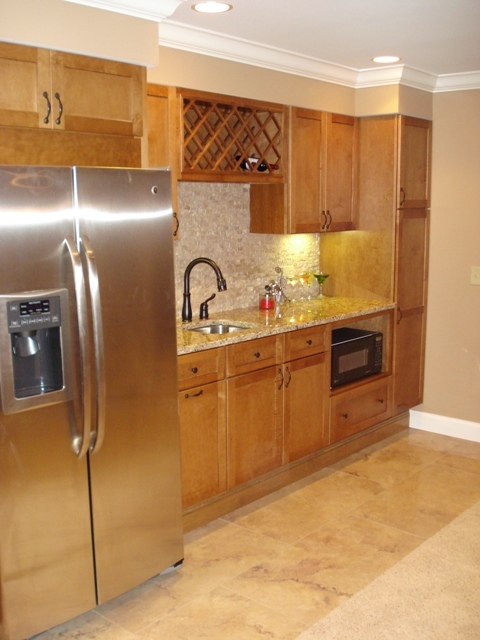 By time you add cabinets, countertops, tile, appliances, etc the cost can add up very quickly. You need to figure out what the primary use of the bar will be and try to set your budget accordingly. When finishing a basement there is going to be dust spread throughout the house. It travels through the air and in the vents and on the shoes of the workers coming in and out of the basement. It comes mainly from rough framing, concrete demolition, installing insulation, drywall, interior trim and painting. There are ways you can help control the levels of dust in your home during the project. Make sure that you or your basement contractor take these steps before starting the remodeling work. Move all personal belongings out of the basement. If there is no room and they have to stay in the basement move them into an area that is not being finished and cover them well with plastic. It’s also good to hang plastic over the crawl space openings and Install a wall of plastic around the mechanicals area (furnace, hot water tank, etc.). Make sure when you do this that you leave enough room for the furnace and other gas appliances to breath. Stay at least 4 ft away from all of the mechanicals. You can also buy a system called a ZipWall that makes it easy to block off areas from dust. Make sure the door at the top of the stairs is always kept closed when not in use. Open a basement window and place a fan in the window blowing out. This will create a vacuum in the room and blow a majority of the dust outside. Then when the door on the upstairs is opened the dust in the air will be drawn down and out the fan in the basement window instead of upstairs. Change your furnace filter several times throughout the project. It is best to change the filter once after the drywall is done, after the painting and after carpet and your final cleaning. This will help cut down on dust in the upstairs and save your furnace. When all that dust gets into the furnace it gets into the blower motor and burns it up. And finally when your basement is done hire a professional duct cleaning company. 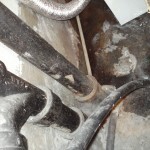 They will come and vacuum out the all the construction dust in the air supply and return lines in your furnace. Otherwise you might be seeing dust in your house for the next several months after the project is completed.